Close-up of Westminster and South Bank. 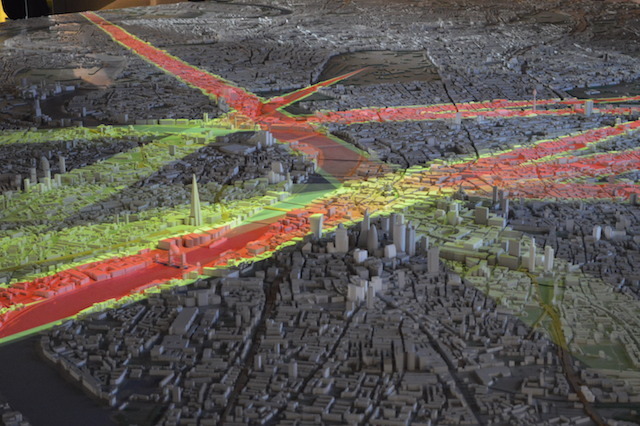 One setting superimposes protected sightlines across the capital. 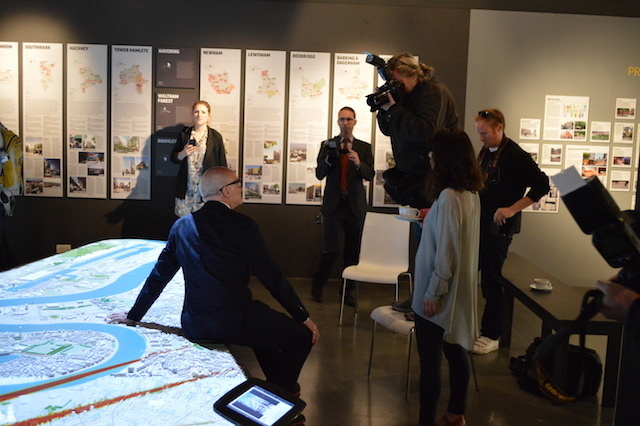 Touch-screen panels provide more info about buildings, and control spotlights to illuminate the map. Peter Murray proved a popular focus for photographers. He's the Chair of NLA, so he's allowed to sit on the map. The super-sized map, bathed in azure lighting. 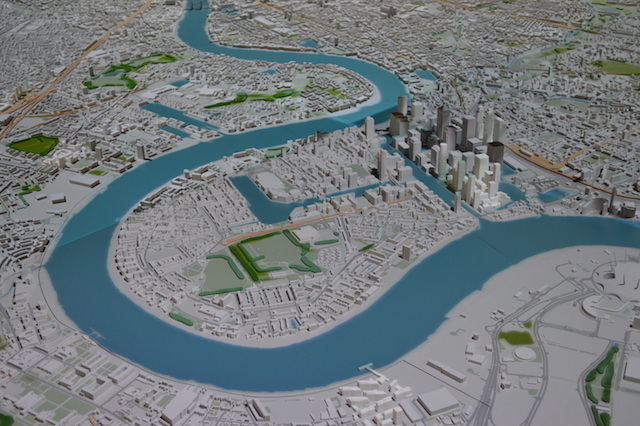 The new, expanded scale model of London at New London Architecture has been unveiled, complete with exciting interactive elements. 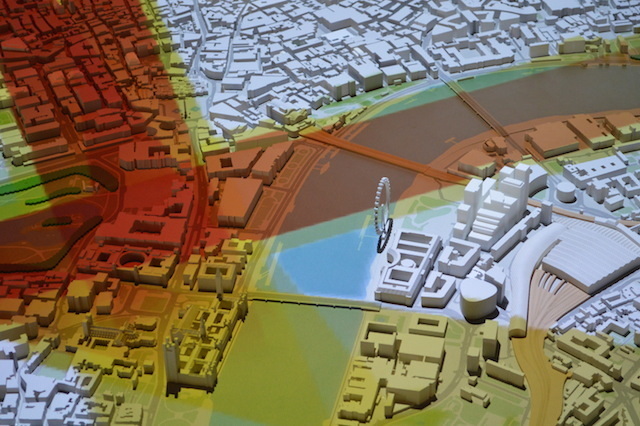 The 1:2,000 replica of the city's central area features a projection and lighting system which allows visitors to light up buildings and major infrastructure projects. 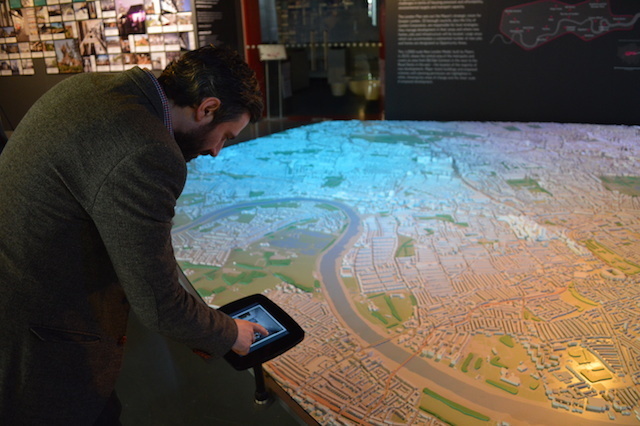 Using touchscreens, visitors can also look-up information and key facts about London’s newest buildings and future projects. There are also five films, integrated with lighting, which show the story of the city's growth as well as its future developments. 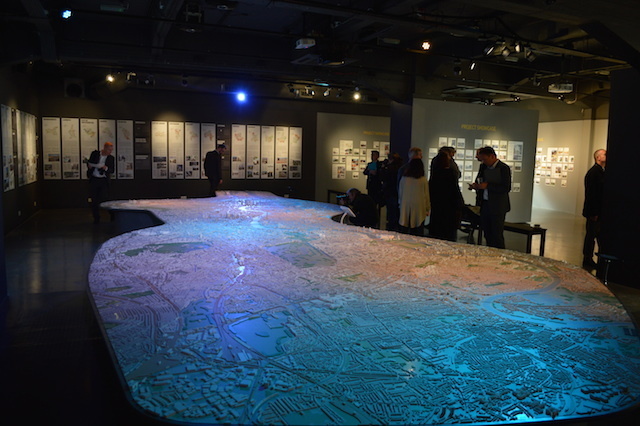 The map covers an area from King's Cross in the north to Peckham, and from Old Oak Common to the Royal Docks. NLA is open to the public Monday-Friday 9am-6pm and Saturdays 10am-5pm, 26 Store Street, WC1E 7BT. Entry is free.